So many of you LOVED the eos Monster Valentines I shared with you a few weeks ago, that I thought I would create an Easter version. Before we know it Easter will be here! These could make an appearance in your kids Easter baskets or be given to a your grandkids or friends some simple Easter Gifts. They are so simple to make. All you need to do is print out the free Easter Printables on white card stock. There are 4 animals to one sheet of card stock. Cut out each animal. Then cut out the hole in the middle of the card with some scissors or an Exacto Knife. Then take one of your eos lip balms and open them up. 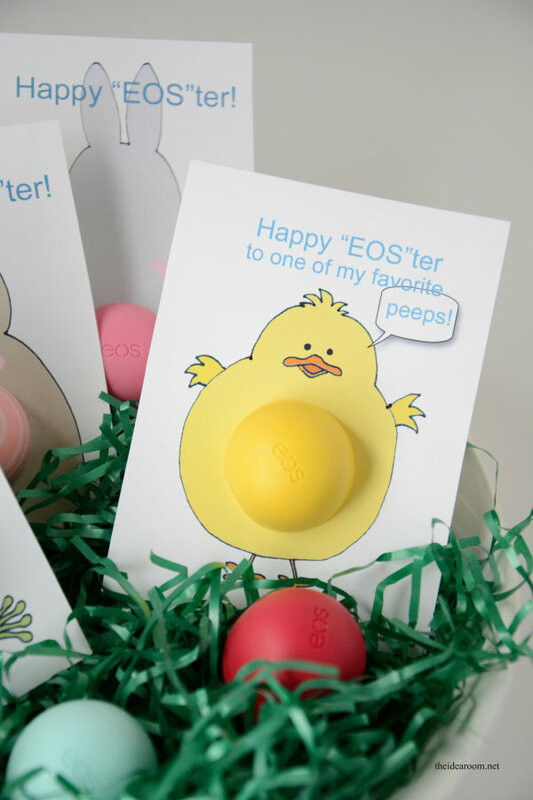 Place the bottom of the eos Lip Balm under the card and then screw the top of the eos onto the bottom. 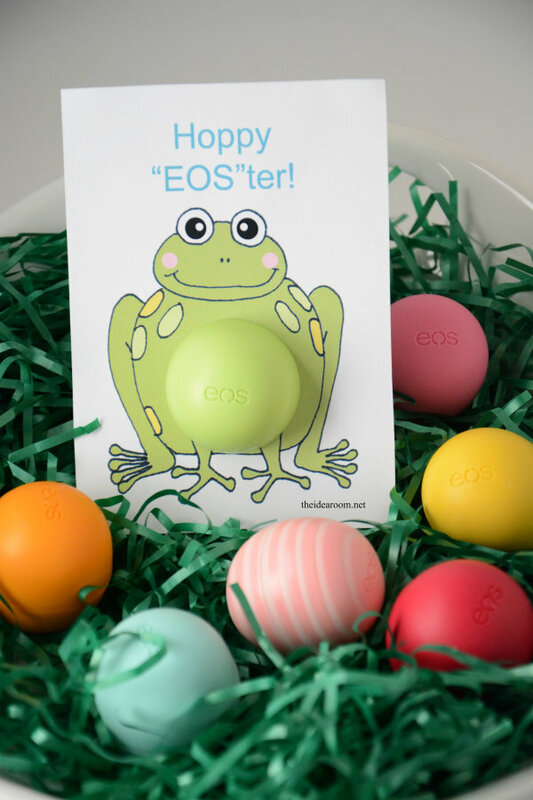 The lip balm then is the belly of the Easter animal or the tail of the Easter Bunny! You can coordinate the colors to match the animals like I have done in the photos…or you can mix them up for a bit of fun! I tend to always be more of a traditionalist :)! 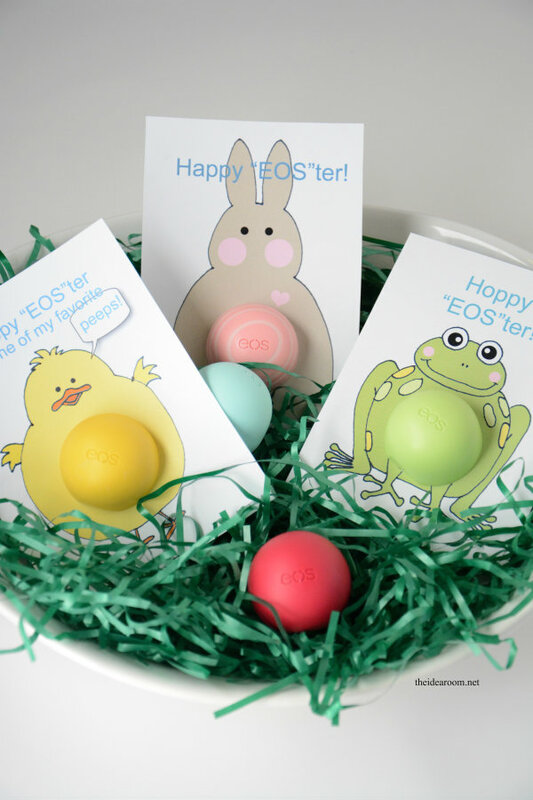 You can also throw a couple of the eos Lip Balms into the Easter Baskets! Aren’t they so fun and colorful? 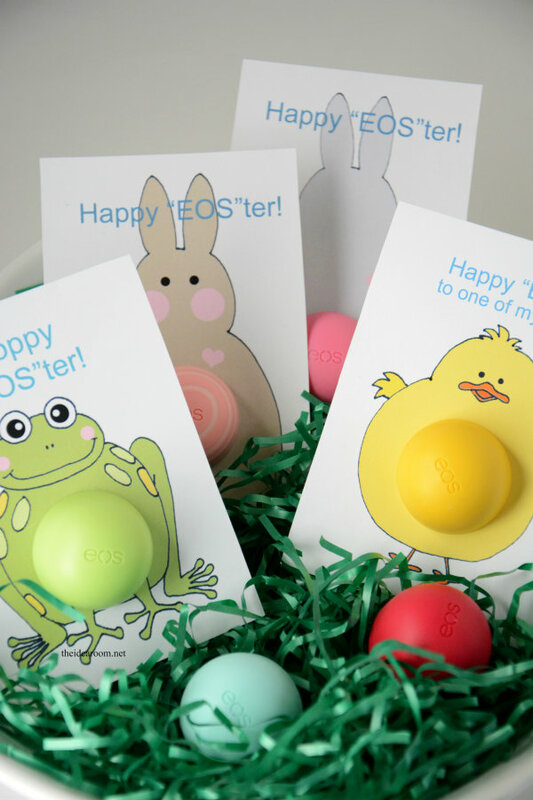 This is what I did last year and some of you may remember this when I shared it here: Easter EOS Lip Balm Gifts. 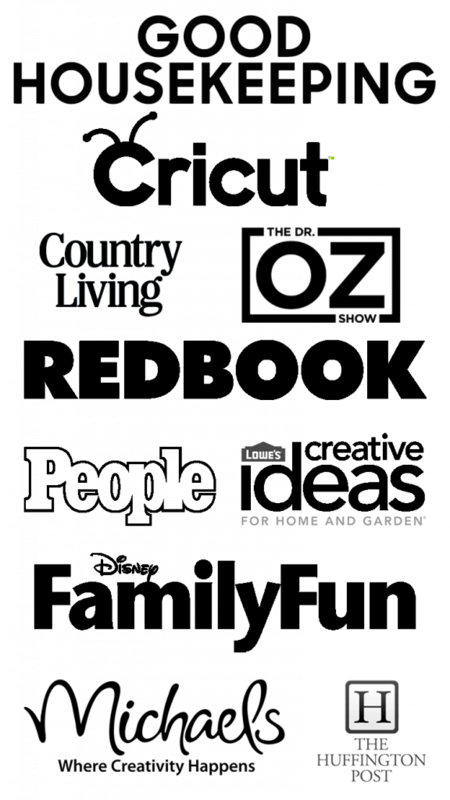 *As always, these printables are provided for you FREE for your personal use only. Please do not sell, or re-post these in your ETSY shops or craft fairs, etc. 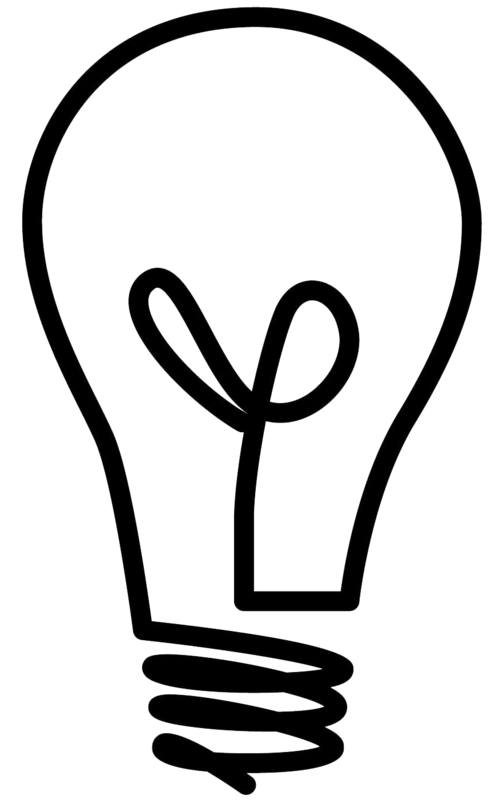 Please ask if you are unsure about the proper and legal use of my copyrighted work and printables. Do you have a favorite? I am kinda partial to the frog! 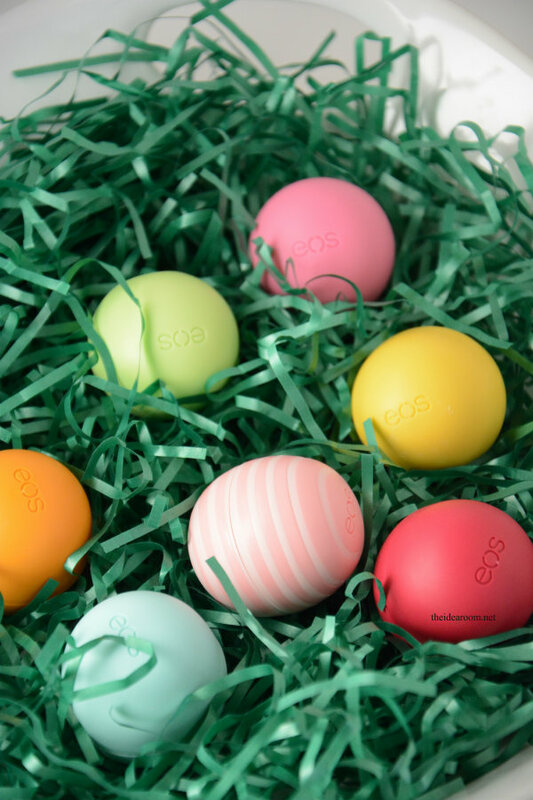 Although…my favorite eos would have to be the yellow lemon eos lip balm. These look fabulous! Where can I get these lip balms in the UK? They do sell them on Amazon! What a fantastic idea. Thank-you so much for sharing it. I’m not really sure what one is my favorite, they are all adorable. As a dad, it took me a while to figure out what all those egg-shaped things were in my house that I kept stepping on! My girls love them. I just might surprise them with this on Easter. And I’ll watch my step. haha! I can totally relate! I bet they would love that! Thanks for the fun comment! So glad you love them! Thanks for following along! Sorry. That is all I have. There is a front of the bunny and then the back of the bunny. But other than that no. These are adorable! 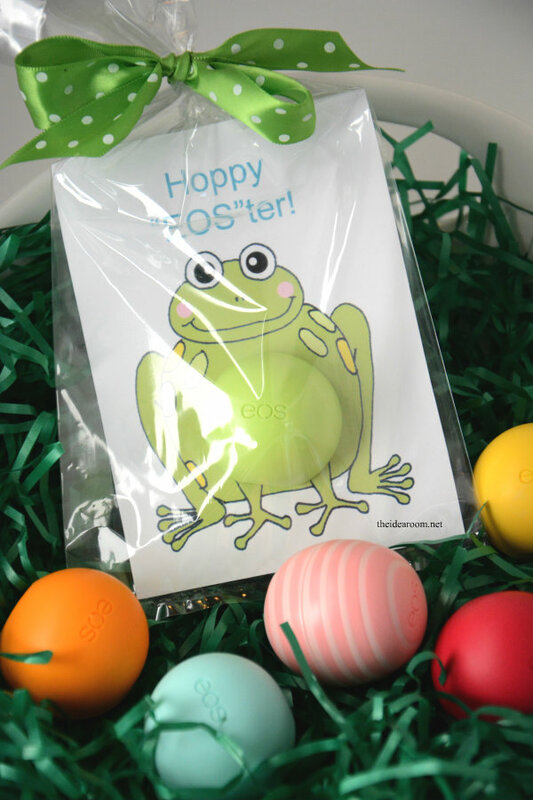 What a fun idea for an Easter basket stuffer. What a cute idea!! My girls love those lip balms! 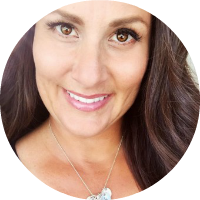 Kristyn- Yay! SO happy they love them. These are so cute, and my daughter would love them! The chick is my favorite! Kara- That one is my favorite too!